Glazed interior on stoneware, 2017. Obvara-fired vase, an Eastern European technique which consists of dipping a 1700 degree pot into a batter of liquid yeast. 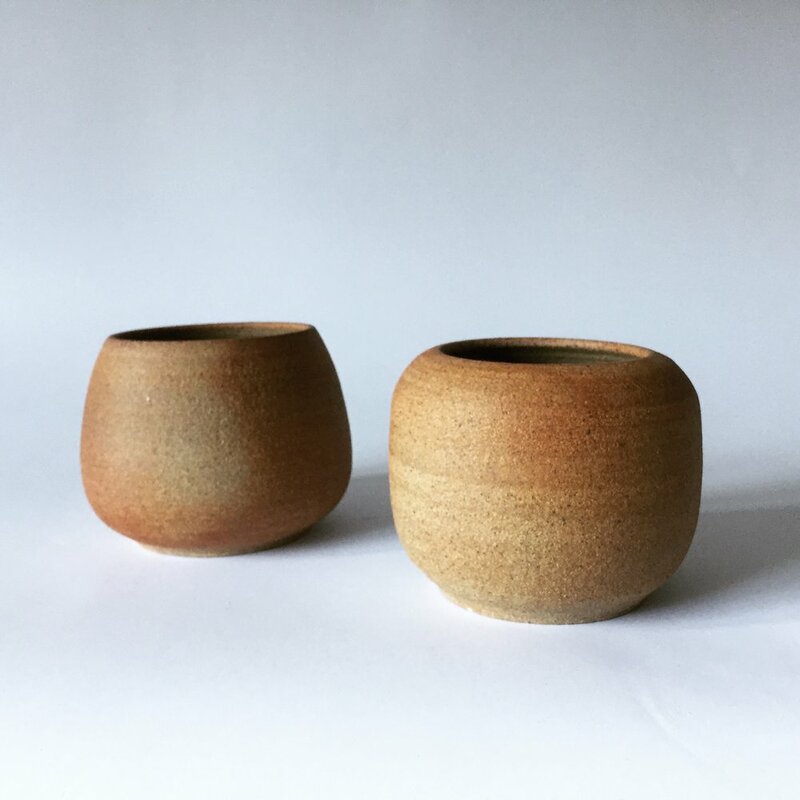 Unglazed stoneware, 2017. Collaboration with Minh Singer. Glaze on stoneware, 2016. 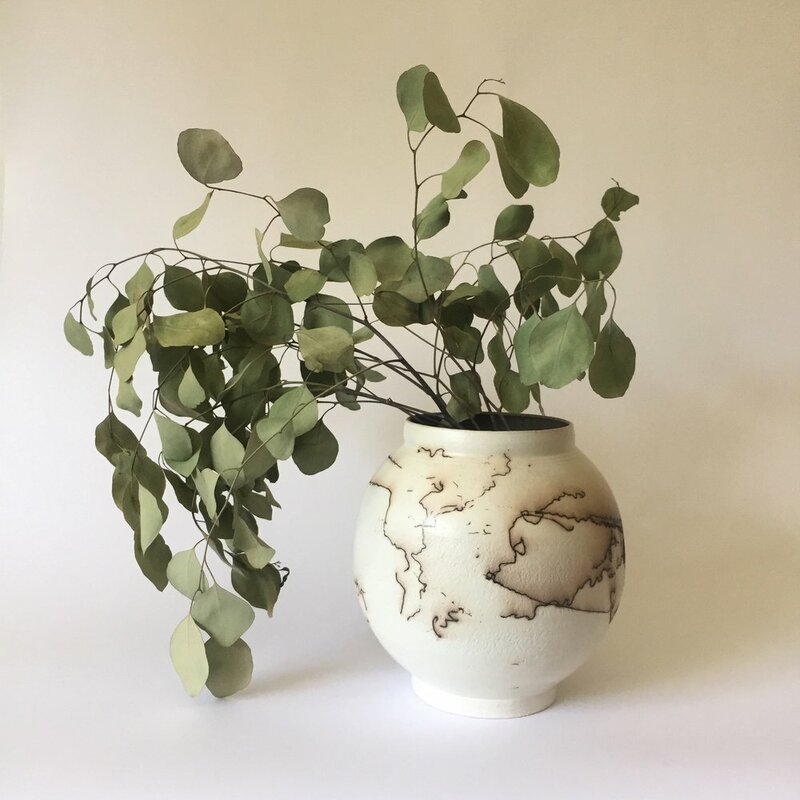 Raku fired vase, crackle glaze on stoneware, 2017.